Dream Construction is ready to help you update your Las Vegas home with bedroom remodeling to find potential you may not have even known existed. If you’re eager to turn your master bedroom into the ideal retreat you’ve been waiting for all these years, let our talented team work closely with you to deliver the remodel of your dreams. People choose to remodel for various reasons. Whether you’re finding it hard to function in the current space or the aesthetic is causing displeasure, a remodel not only can improve your day-to-day living and sense of peace, it can also increase the overall value of your home. To make the most of your bedroom remodel it’s essential to have a solid grasp on what you want from the finished product. Do you want a master bath with increased function? Do you want more space? Do you want to change the design elements by adding crown molding or wood flooring? 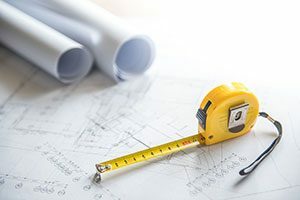 Your motivation for a remodel will direct the process, and our team strives to work with you throughout the design and build phases to ensure you see your vision come to life. When you hire Dream Construction to lead your bedroom remodel project in Las Vegas, you can maintain confidence in our commitment to quality craftsmanship and our passion for transforming every home we work with. At the end of the day, we know that every man and woman’s house is their castle–and we want to treat it as such. Contact us today to get started.